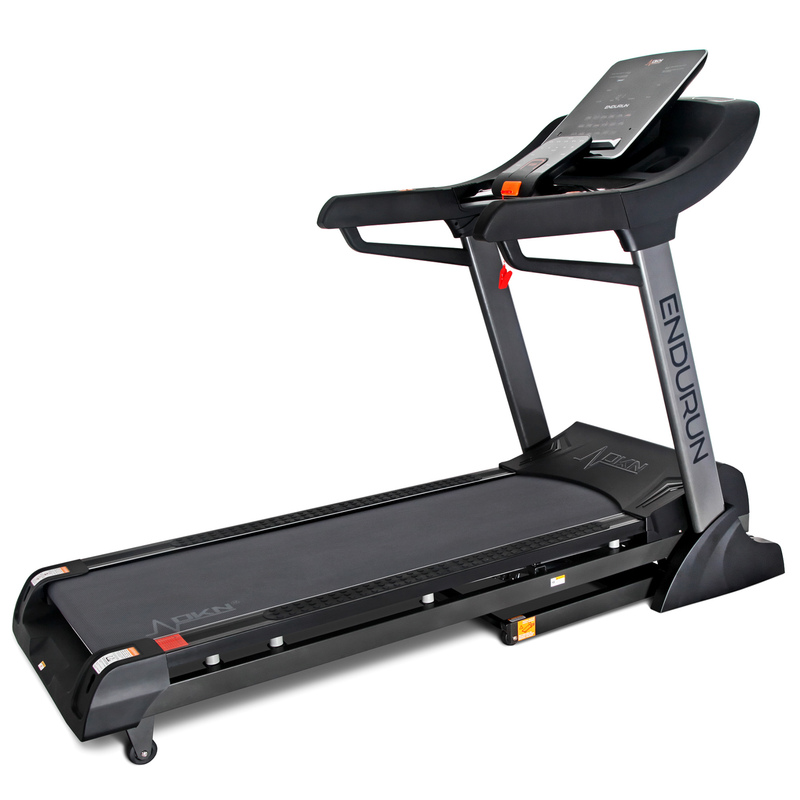 We’ve been officially reviewing treadmills for many years now. Different shapes, different sizes, different features. They’re all different on the face of it with a touch-screen here or a more advanced programme there, but the differences tend to be electronic while underneath, at their heart, most of them share the same basic mechanical characteristics, albeit of varying qualities. If only we could see something different, something new or something interesting more often than we do. Still, thankfully from time to time, it does happen. Every once in a while, a manufacturer will come up with a new idea that sets them apart a little. Cue the Reebok Jet 200 treadmill, featuring air cushioning. “Jet Air Pods?” I hear you say. Yes, says I. “Sounds fancy, but is it any good?” you ask. Well, with a bit of persuasion we managed to get our hands one. Here’s what we found……. So firstly there’s the small matter of getting the Jet 200 assembled. Small matter indeed! The Jet 200 is advertised as being 90% pre-built and we’d go along with that. Putting it together really couldn’t be made much easier without fully assembling it in the box. This goes beyond flat pack. It really is just a case of opening the box, unfold the uprights at the front, connecting the console and attach the head unit to the body – you’re done. That’s it. All that remains is to pull the retaining pin out and you’re ready to go. Once assembled the Jet 200 looks smart. The model we tested was in black with a bright green trim of straight lines bringing back memories of Tron 🙂 The console looks very modern too with a bright LED running track and big, clear logically laid out buttons. 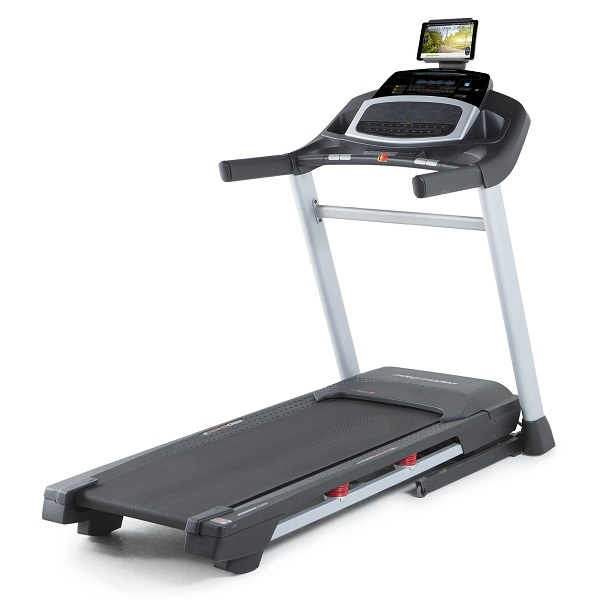 This is definitely a 21st century treadmill and it looks the part. We really, really liked the look of it. Gone are the boring shades of grey, replaced by black and striking green trim with a green LED display. It looks great! 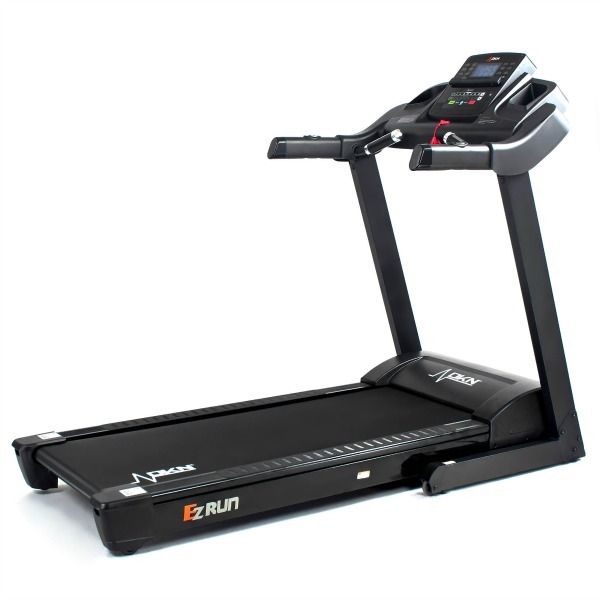 The 46cm x 140cm (18.1” x 55.1’’) mid-sized running deck is large enough to be comfortable for most runners, even those over 6ft. It is still a mid-sized deck of course, but one that is genuinely large enough to accommodate most people and not one focused solely on trying to save space. Then we come to the air cushioning system with Jet Air Pods – what’s it all about? Well, in Reebok speak it means it : “cushions the impact across multiple pockets of air and channels the airflow back through the runner’s gait cycle”. In plain English this means that the air pads act as a cushioning agent and transfer air to where it’s most needed, so that as you land on the deck the air in the pad cushions your landing, then as your foot moves to the back of the treadmill, the air is transferred to the rear, filling the pad and making it stiffer to give you a much firmer, more solid surface to push off from. Put simply – The Jet 200 feels very good to run on! 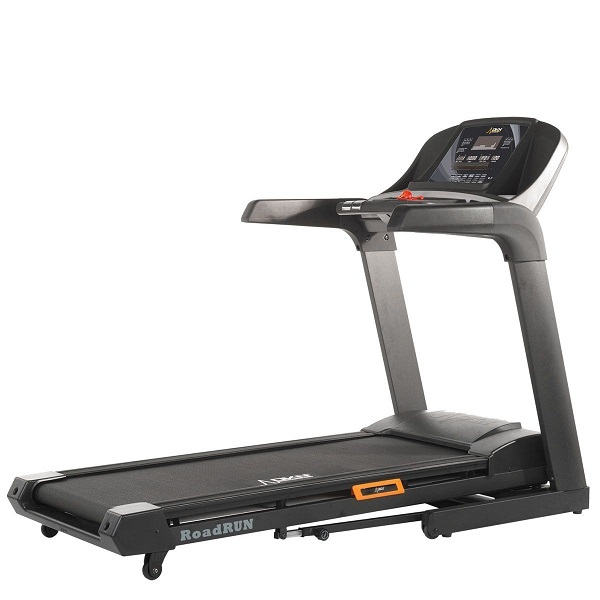 🙂 Reebok have struck a nice balance between ‘rock-hard’ and ‘trampoline’ and the Jet 200 delivers a really good running experience. Powered by a 2.25 horsepower continuous duty motor and featuring good sized rollers the Jet 200 is respectably quiet and even at the top end, unlike some other models we’ve tested, doesn’t make the sort of noise that’ll wake the neighbours when you go for your 6am daily run. In terms of challenges, there are 15 levels of incline, a max speed of 18kph (11.2mph), 24 preset workouts, 3 user defined programmes, manual mode, 3 target modes and a body fat analysis function. All of the preset programmes can be customised to change the duration of the workout so you can effectively increase the difficulty of each one and that, combined with the user defined workouts that allow you to create 3 of your own programmes, means that the Jet 200 should always keep you working hard, even as you get fitter. 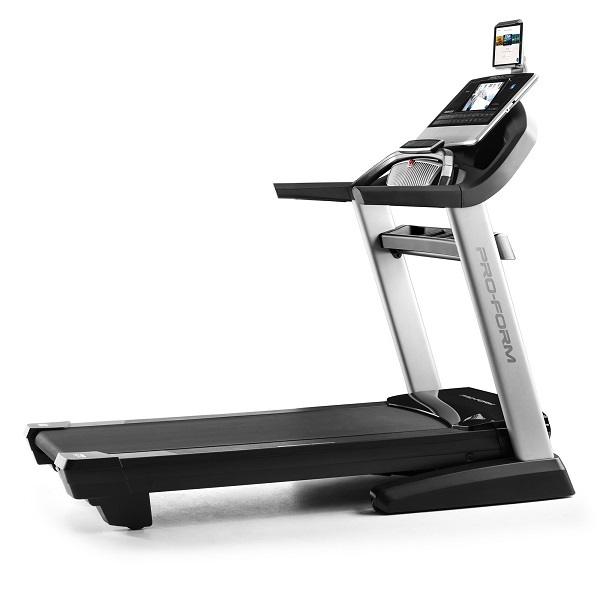 The speed transition between min and max incline and min and max speed is pretty good and you can quickly feel the changes making the tread feel responsive to your needs. Running on this machine really is a joy. The console itself is really very modern looking. Reebok have opted for an LED display here instead of the more common LCD variety and the end result is excellent clarity. It looks great and it’s easy to see the display in pretty much any light conditions. Unlike an LCD which can be hard to see in a very well light or sunny environment, the LED characters are bright and striking. Training data such as speed, time, distance, calories, pulse, incline and programme are all clearly laid out and taking centre stage is a large 1/4 mile LED virtual track. Also featured are built-in speakers, 3.5mm audio jack for plugging in your music player, fan (doesn’t do a bad job), water bottle holder, tablet holder and there’s also a USB port for charging a device and for music playback via a USB stick with control buttons for next and previous tracks. This is a very. very good home-use treadmill that not only does what it says on the tin but also offers up something new that works really well. 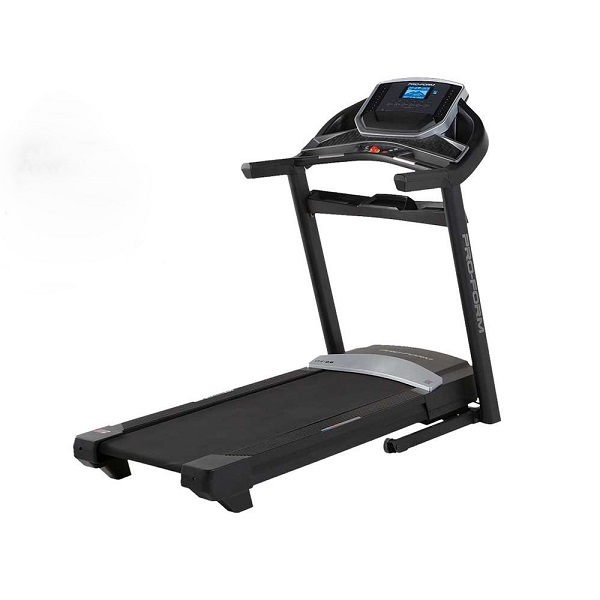 Its sleek , modern look and overall size makes it a very good choice for most runners and most homes. 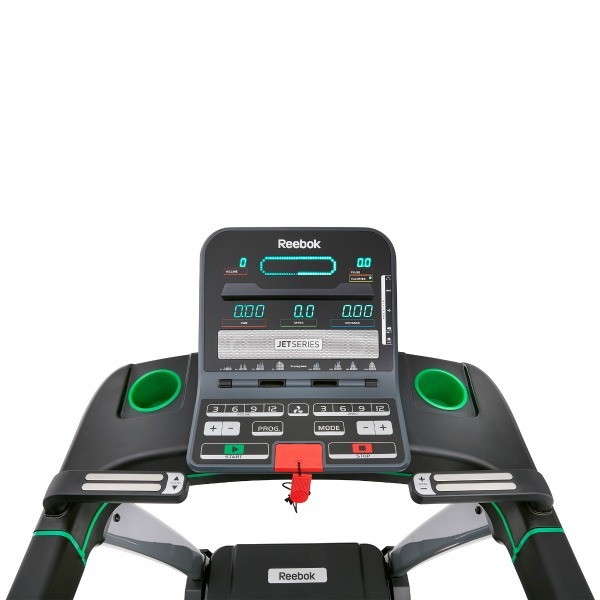 It’s is also covered by Reebok’s Lifetime frame, 10 year motor and 2 year on-site parts and labour warranty for peace of mind. 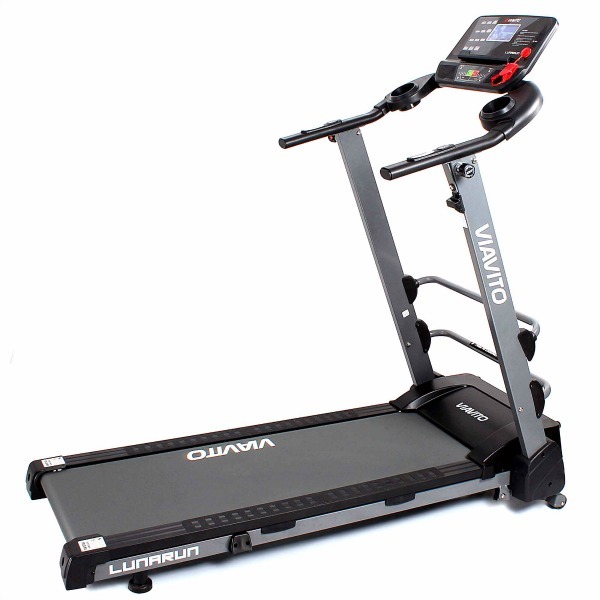 The Jet 200 is quite an impressive treadmill in the budget category and represents very good value for money. 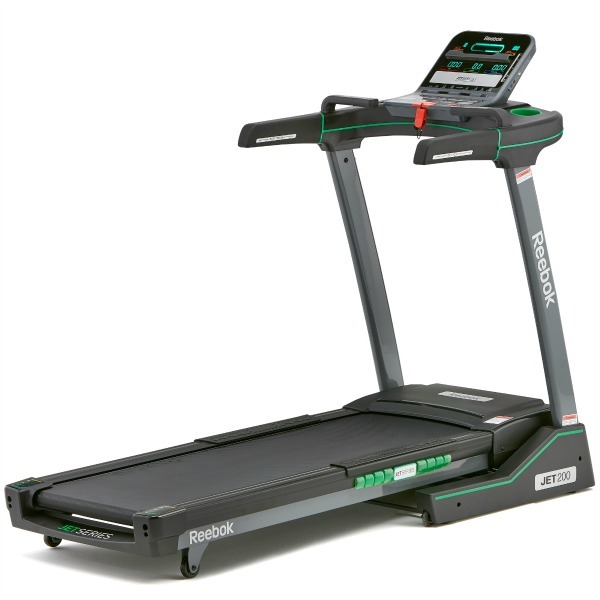 If you're considering this machine, it'd be well worth also having a look at the Proform Power 545i - it is a bit more expensive, but provides a wider deck, bigger motor, higher actual incline as well as a Bluetooth heart rate receiver. It's not often we encourage spending more, but in this instance, we'd say it's worth the extra.